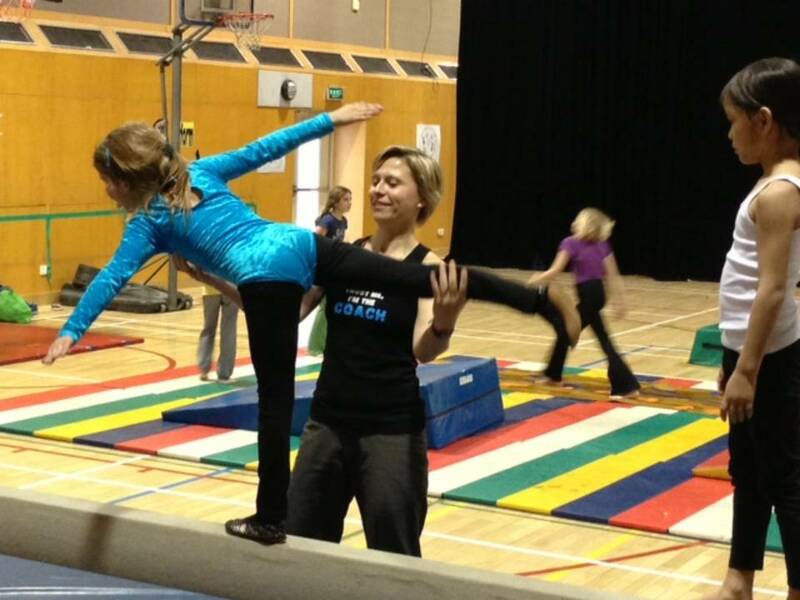 Coach Antje is our parent-volunteer for gymnastics. A solid rock in Flips & Kicks Plus with a deep knowledge and understanding of gymnastics and sports in general. Coach Antje started gymnastics at age 7 and moved on to be a competitive gymnast, and she is also a judge in competitions. For many years she has been teaching sports to grown ups and children. Over 20 years experience as an active gymnast. Certified in: Step Aerobic, Indoor Cycling, Physical Health, Back Therapy, Stress Relaxation, Prenatal and Postnatal Workout.